An SSH server can not only provide the command line, but also a graphical user interface that does not necessarily have to look like the one on the remote system. A display redirection or X-Forwarding can be performed by an SSH server. However, you will not get the current, but your own desktop in this solution. 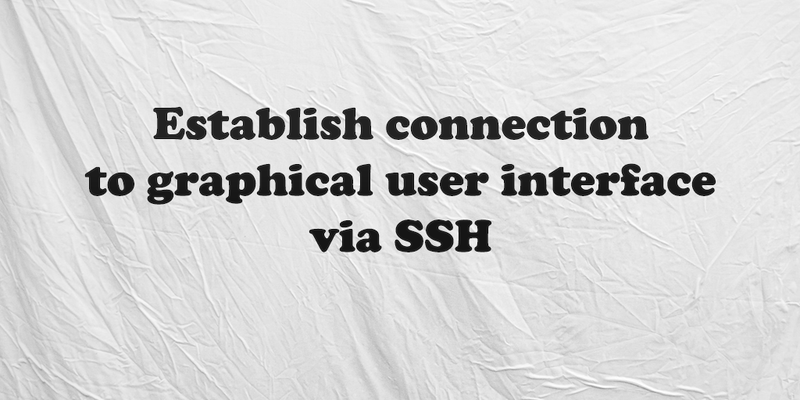 Connect to the graphical user interface via SSH. There we enter the following line, which should be available by default. The SSH server needs to be restarted (only if you have changed the file). The display redirection is of no help if you do not have a panel (start menu, program bar, ...) that allows you to control the desktop. A panel is a control bar, which can be placed anywhere on the desktop and expanded with many applets and plugins. For example, program starter or battery, network or hard disk monitor. That's why we first install a panel. Other panels include tint2, fpanel, xfce4-panel, visibility, kicker, barpanel and many more. Then you can enter the following command directly in the SSH client. The key parameters are "-X" (large X) for display redirection and "lxpanel" for the panel. The IP address must be adapted according to your own Raspberry Pi. In the Windows world, VNC is less common. This is called remote desktop support via RDP. If you're working with Windows clients, setting up an RDP server on the Raspberry Pi is a viable alternative to VNC.